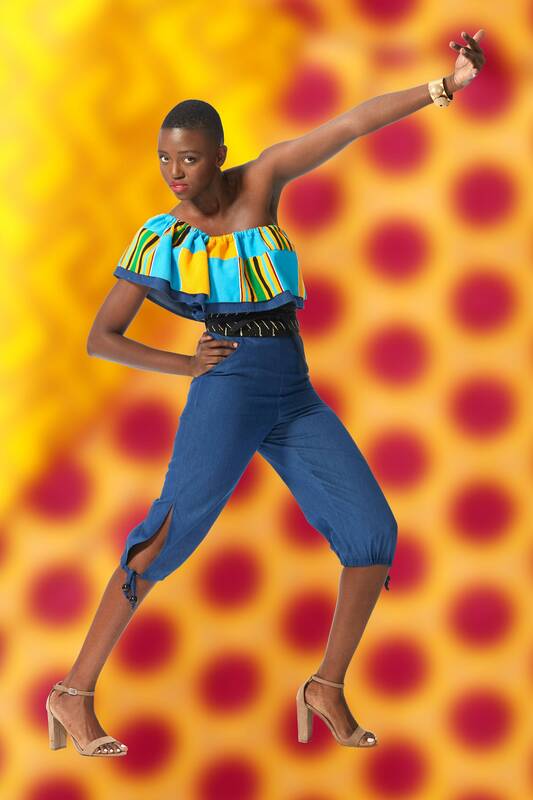 Denim jumpsuit made from lightweight chambray denim, with asymmetrical flounce in denim and handwoven Kente cloth. Jumpsuit has back zipper, hidden under flounce, front pockets, and below knee cropped length. Hemline features vented sides with ties. Upper flounce is made from a beautiful single weave kente, handwoven and directly sourced from Bonwire weaving village in Ghana. Part of the Tidal Cool Vivid! 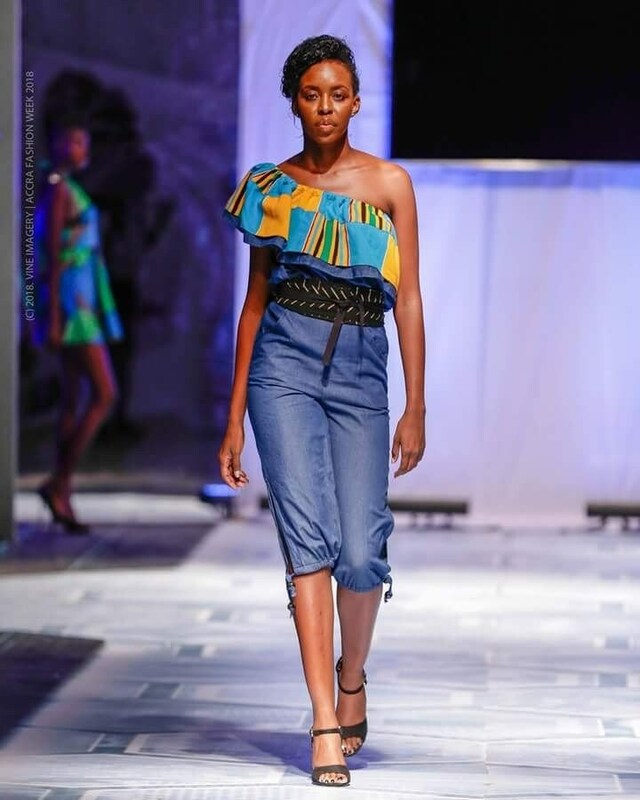 Collection designed for Accra Fashion Week 2018. Shown with a Tidal Cool mud cloth Obi belt, sold separately.